This Dec. 6, 2018, file photo shows Roger Stone speaking at the American Priority Conference in Washington. 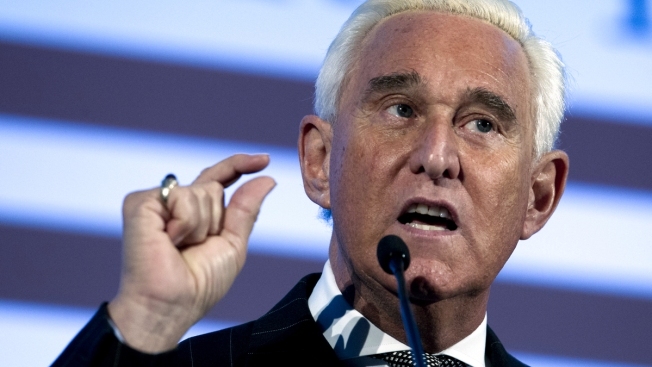 A federal judge issued a gag order in the Roger Stone case Friday, saying attorneys and witnesses for the former Trump campaign adviser and prosecutors working for special counsel Robert Mueller may not speak publicly about Stone's prosecution for lying, witness tampering and obstruction. Judge Amy Berman Jackson also put an end to Stone's courthouse press conferences, NBC News reported.